Acupuncture in Boston exists because no one likes living in pain. It not only impedes your ability to work, play, sleep, and enjoy life. Not treating your pain will aggravate any preexisting health conditions. Luckily, there are several pain remedies you can choose ranging from, acupuncture to nutrition guidance. Boston community members who suffer from chronic pain shouldn’t have to tolerate it when there are so many treatments available. One of these treatments is acupuncture in Boston at WellFit Studio. Members of the Boston community who don’t want to take pain medication or undergo drastic surgery should try this form of alternative medicine. What Is Acupuncture? Boston Residents, Take Note! As an ancient medical treatment, acupuncture in Boston has its roots in China, where it has been practiced for centuries. Like in China, the practice of acupuncture in Boston involves inserting thin needles into points in your body, thereby improving your energy flow. An experienced acupuncturist may turn the needles or apply heat, electricity, or an herbal medicine to the needle tips to further stimulate the points. With acupuncture, the Boston community can get treatment for common ailments like headaches, menstrual pain, arthritis, digestive disorders, and skin problems, among others. How Does Acupuncture in Boston Work? Acupuncture in Boston works by following the Traditional Chinese Medicine theory that the body is made up of energy pathways or meridians. This medicine is the energy that flows through these pathways is called Qi. The flow of Qi needs to be balanced, or else, you may be hit with stress, pain, depression, sickness, and the list goes on and on. One way to balance your Qi is through acupuncture in Boston. Boston acupuncturists help the community by releasing blocked Qi through the careful insertion of needles in a specific area of your body called acupoints. Scientifically, acupuncture in Boston works by stimulating the body’s nervous system, cardiovascular system, digestive system, and endocrine and immune systems. A Boston acupuncturist will take action by placing needles on the acupoints. This area will begin to release endorphins, resulting in chronic pain relief. Like other medical practices, acupuncture in Boston is more effective when accompanied by a nutritional diet, herbal remedies, and exercise. What About the Needles Used for Acupuncture in Boston? Don’t be worried about the needles used for acupuncture in Boston. Boston acupuncturists always utilize disposable, sterilized, and FDA-approved needles for each session. The needles for acupuncture in Boston are hair-thin and pin-like; the procedure is known to be painless, but offer amazing results. Will Acupuncture for Boston Residents Hurt? Acupuncture in Boston is pain-free. During the treatment, the professional acupuncturist inserts the needles carefully so you may not even feel anything going into your skin. The most discomfort you may feel during acupuncture in Boston is a mild tingling, heaviness, or numbness along the acupoints being stimulated. 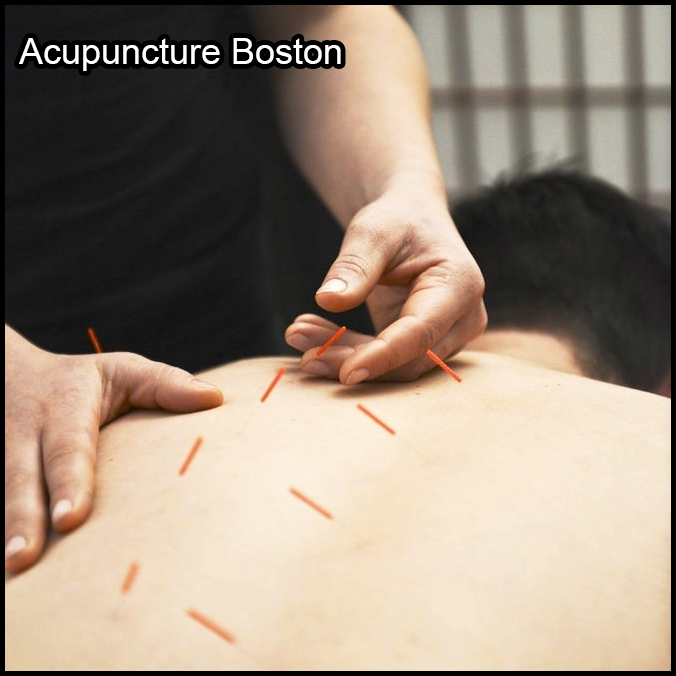 Most Boston community members report conditions of feeling calm and relaxed during a session of acupuncture in Boston. How High Is the Risk of Complications from Acupuncture in Boston? The complication rate for acupuncture in Boston is quite low, especially if your acupuncturist is certified and experienced. Aside from minor bleeding where the needles are inserted, you have nothing to worry about getting acupuncture in Boston. Our acupuncturists guarantee the use of sealed, single-use needles for acupuncture in Boston, there is no risk of contracting infections, either. Get Acupuncture in Boston Today! The practice of acupuncture in Boston can help several of its residents with the area they are feeling pain. This centuries-old cure is a reliable holistic medicine for chronic pain and other ailment conditions. Acupuncture in Boston is not only safe and painless but also cost-effective and free from chemicals. If you’re going to get acupuncture in Boston, go to an acupuncturist with experience. At WellFit Studio of Boston, our certified practitioners are dedicated to providing you with personalized care. We aim to help you maintain a life of optimal health and wellness through our holistic medicine approaches. For high-quality, holistic treatment that you can trust in Boston, reach out to us today. Our team of acupuncturists would love to hear from you! WellFit Studio of Boston is the brainchild of Anna Israel, who triumphed against a lot of health issues. Growing up, she struggled with sports injuries, physical pain, hormonal imbalance, and digestive ailments, among others. Although modern medicine had been available, solutions were, unfortunately, surface-level deep and lacked in the area of personalization. Not to mention, some drugs cause side effects. It was then that Anna realized she wanted to learn and discover as much as she can every day. Anna has always believed that health is multifaceted. She made efforts to study how various aspects of day to day life can affect one’s health. Anna's journey to optimal health has gifted her with discoveries of solution after solution. Also in her own voyage to optimum health, Anna acquired the lesson that holistic health is a gradual process. It requires steadiness in the integration of a number of sustainable solutions to health maintenance. Anna’s commitment to helping others enjoy the quality of life that she does is what let her open her own health center. WellFit Studio of Boston focuses on the holistic approach to health and wellness. We are a group of acupuncture practitioners who devote our service to aiding our patients in addressing various health concerns, helping them live their lives to the fullest. Trust: It is the expertise of our team and the excellence of our service that draws patients to WellFit Studio. This is why we strive to be a highly dependable resource for optimal and natural healthcare to every individual that comes to us. At WellFit Studio of Boston, you are assured that our acupuncturists only use top tools. Quality: At WellFit Studio of Boston, you do not just sit with a healthcare professional for an hour or so, and then leave with a list of reminders and medicines to purchase. Our service entails the restorative cures that will benefit you physically, mentally, physiologically, and spiritually. Wellfit Studio of Boston provides affordable services and guarantees a friendship that would never leave you feeling hopeless. That's because our Boston team of experts truly enjoys providing community members affordable holistic services. Holistic Views: WellFit Studio gives emphasis to holistic, integrative approach. We believe that healing a specific health issue is not the end of healthcare. This is why we encourage our Boston patients to engage in the trifecta we offer: acupuncture, bodywork, and nutrition. Those three complement one another, making the approach much more effective. The aim of WellFit Studio is not just to help you be healthy, but also to inspire you to live your life the best way possible. Acupuncture for healing and as preventive medicine. Acupuncture has played an invaluable role in Chinese medicine for centuries. It is rooted on the meridian system that provides health and wellness solutions through Qi, or the energy pathways through the body. Sterile needles are inserted at specific acupressure points on the surface of the skin. Depending on the area and condition you are seeking a cure for, the well-versed acupuncturist will perform scientific and strategic placement of needles to improve the energy flow through your body. Acupuncture is safe, painless, cost-effective, and chemical free. Also, WellFit Studio acupuncturists, use only disposable, sterile, and FDA-approved needles. At WellFit Studio, acupuncture is considered as an art as much as a form of healing the area of pain. Acupuncture is performed by our experienced team of acupuncturists. We see fertility and pregnancy in four phases – pre-conception, postpartum, pregnancy, and post-partum. It is normal for each phase to come with a lot of nerves, stress, and excitement, and we are here to assist you throughout your journey. Acupuncture is helpful not only when trying to boost fertility. It will also aid in the ease of your delivery. The good news is that you do not need to live with these. With the affordable practice of acupuncture and a healthy lifestyle, you can certainly enjoy optimal health again.